William Russell reads this exciting novelisation of a classic Doctor Who adventure. In a final bid to regain control of the TARDIS' faulty control system the Doctor is driven to experiment with a dangerous untried combination. With a violent explosion the TARDIS blacks out and the crew find themselves trapped inside. A simple technical fault? Sabotage? Or something even more sinister? Tension mounts as the Doctor and his companions begin to suspect one another. What has happened to the TARDIS? Slowly a terrifying suspicion dawns. Has the TARDIS become the prisoner of some powerful fifth intelligence which is even now haunting the time-machine's dark and gloomy corridors? 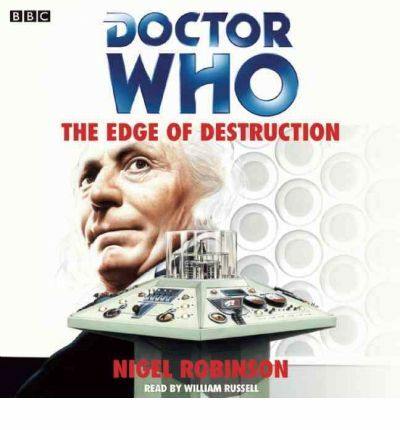 William Russell, who played the Doctor's companion Ian in the original TV serial, reads Nigel Robinson's complete and unabridged novelisation, first published by Target Books in 1988. "BBC Audiobooks has chosen well with its books and has taken the right approach with its readers...they benefit from new music and sound effects". ("Doctor Who Magazine").